Many businesses outsource various departments as part of their successful long-term strategy and to be more efficient and better manage their costs. With the help of cloud-based services, almost any business function can be outsourced. We would agree that Finance is most likely one of your most important functions in your business. Finance is a perfect function to outsource, it is not income generating and could have real benefits like increased expertise, flexibility and focus. Outsourcing your Finance function provide your business with an advantage over your competition. By outsourcing, you gain ongoing access to accurate information and insights to enable faster, more informed decisions. By outsourcing activities like bookkeeping, payroll, financial reporting, GST etc. you lower your in-house cost significantly. Cloud-based software will also impact on the reduction of your monthly operational costs like stationery, training, and overheads, leave and sick pay. Timely, accurate and consistent insights drive better business decisions, which in return results in business growth. Expect up to date, useful information to help with your decisions. Useful trends that are available at your fingertips allows you to make improvements on the spot. Qualified professionals providing you with vital business analytics and insights as well as Budgets, Cashflow projections and Management accounts, readily available and accessed from within your business. Keeping you informed with up to date information, better positioning your business to effectively adapt to changes within the industry and add to your competitive advantage. By Outsourcing, you can focus on the strategic approach within your business and improve the efficiency of the business. Avoid financial pitfalls as your team should be aware of the latest deadlines and regulations, ensuring your financial reports are up to standard, completed and submitted on time. Cloud accounting allows access (online) to business financial information anytime, anywhere. 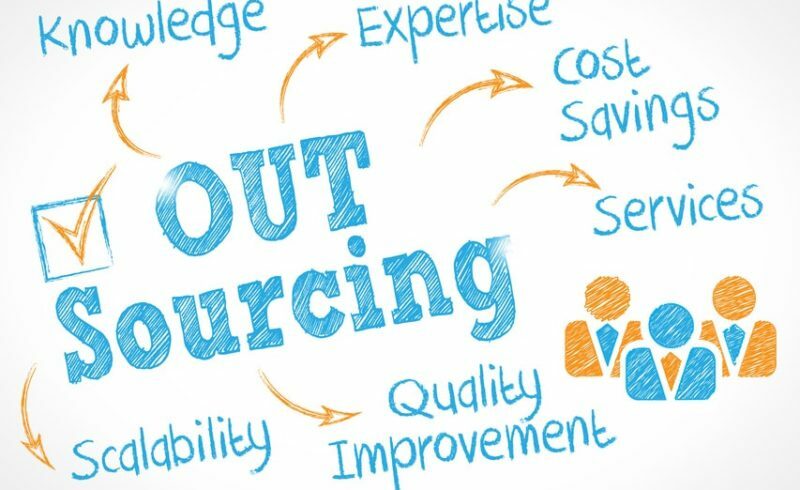 Outsourcing gives you the advantage of keeping up to date with the latest trends in the industry and implement best practices. Without spending much time or resources, your business can now focus on its core competencies. At Beyond Financials we have a dedicated Outsourcing team who has experience across various industries. We apply our knowledge and skills to support our clients by managing their accounting/finance functions and providing them with up to date information for their businesses. By outsourcing our they can now focus on what is important and focus on moving the business forward. Please contact us for a free consultation to see how our Outsourcing solutions can benefit you. To see how Beyond Financials can an effective finance outsourcing partner to your organisation please contact us on 0800 00 48 68 or drop us a note using the contact form below.